Most prewar British motorcycles used 1" (25,4mm) diameter handlebars. All Vincents have these and many Nortons pre 1955. Triumph used their own system: 1" on the left and 15/16" on the twist grip side. Around 1960 this changed to 7/8" like everybody else. 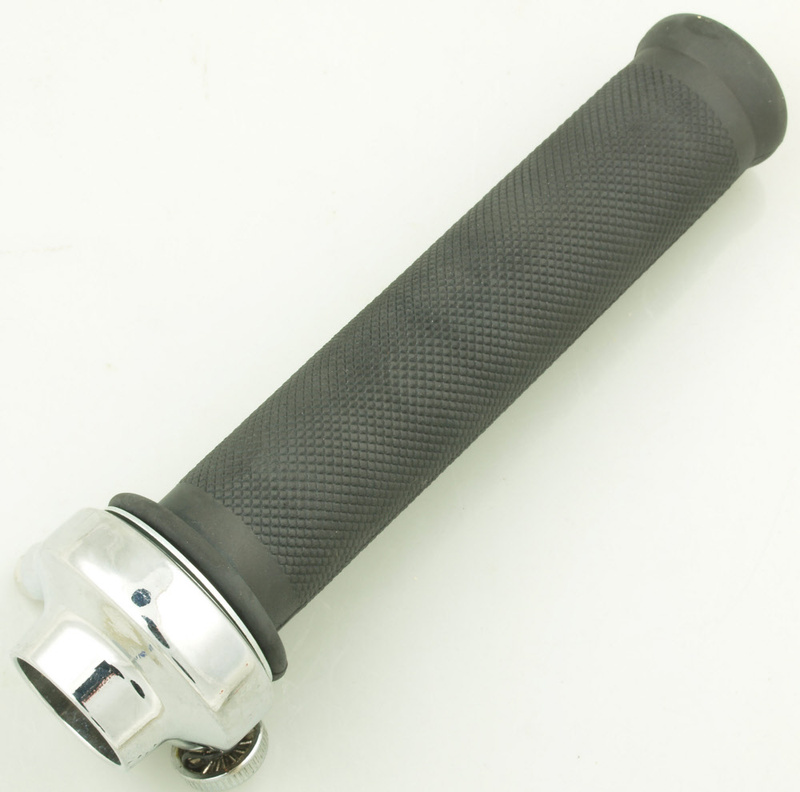 Throttle for Triumph pre unit bikes with the 1" handlebars and typical 15/16" twistgrip.